Healthy snacks that are tasty and low in sugar are fairly hard to come by. Packaged varieties might have convenience going for them, but their hidden glucose levels and processed ingredients are two bad habits you need to give up to be healthy. So where can we find the middle ground between nutrient-dense snacks and ones that also taste good? 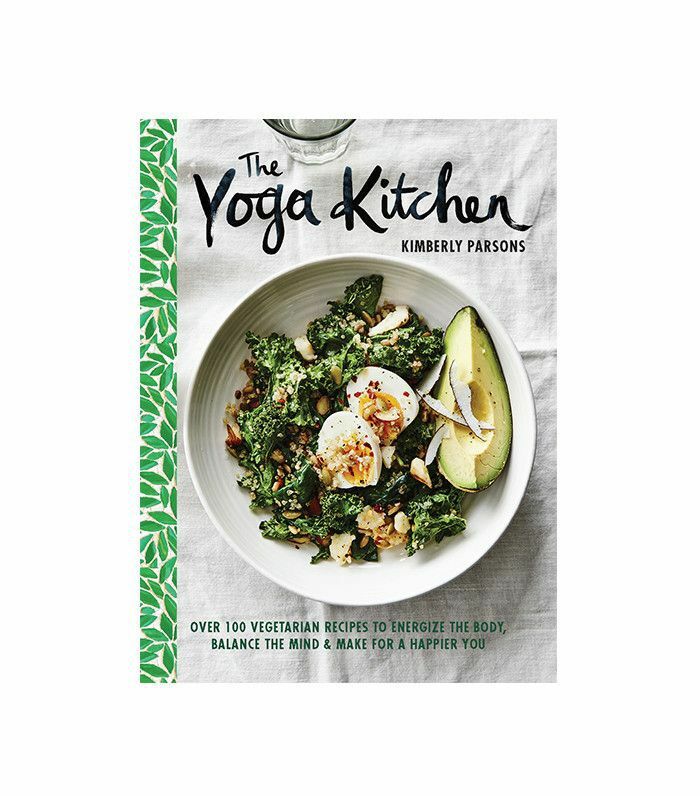 We tapped the expertise of Kimberly Parsons, author of The Yoga Kitchen, which features over 100 vegetarian and gluten-free recipes that not only improve your health but build your inner core, increase your energy, and support your spiritual development. These tasty on-the-go snacks are perfect for busy girls too. Ahead, Parsons shares four exclusive snack recipes from the book along with a brief explanation of their health benefits. Happy cooking! "The third chapter in the book is called 'Nurture,' and it's based on the heart chakra, Anahata, where we begin to discover our true selves," says Parsons. "Since the heart chakra is the midway point, balance becomes an essential principle; both outer balance and inner balance are key. Humankind can easily lose its balance between the mind and body in the fast-paced world of today, and the 'Nurture' chapter seeks to reunite these elements. The recipes in this chapter, like the bliss balls, are all nutrient-dense and filled with phytonutrients that are truly devoted to healing and restoring, allowing nurture to take place on all levels." Place the macadamia nuts and lemon verbena leaves or tea bags in a medium bowl. Pour enough of the hot, filtered water over them to cover, then allow them to soak for two hours. Remove the lemon verbena from the bowl and drain the macadamia nuts through a colander. Place all the ingredients into a food processor and blend until smooth dough forms. Stop and scrape down the sides as necessary. Remove from the food processor and place into a medium bowl. Leave to cool and then chill in the refrigerator for one hour. Once chilled, roll a walnut-size portion of the mixture in the palm of your hand. Place the ball into a plastic lock seal bag with the two extra tablespoons of desiccated coconut, then shake it until the ball is coated with coconut. Roll the remaining mixture into balls and repeat the same steps. Store these for up to two weeks in a plastic lock seal bag or an airtight container. Be sure to always keep them cooled in the refrigerator. "The types of bacteria in our intestines have a profound effect on our health," says Parsons. "Good bacteria are anti-inflammatory, whereas bad bacteria secrete highly inflammatory substances into the gut. The word probiotic literally means to promote life. The term is used to describe living microorganisms in the intestines that have positive health effects. Along with regularly eating fermented foods, consuming unflavored, sugar-free, natural yogurt is an excellent way to increase your healthy bacteria. Flavor the yogurt in any way you want. I've roasted the strawberries, which increases their flavor, while the addition of balsamic vinegar diffuses their sweetness." Line an eight-by-eight-inch baking pan with parchment paper. In a medium bowl, stir together the yogurt, maple syrup, cinnamon, and vanilla. Gently stir in the blueberries and cacao nibs and mix until everything is combined. Pour the mixture into the tin, spreading it out evenly and making sure the blueberries are evenly distributed. Sprinkle the chopped pistachios over the yogurt surface. Cover with plastic wrap and place in the freezer overnight or until needed. On the day of serving (you still need to be working ahead of time as the mixture needs time to cool), preheat the oven to 350°F. Place the strawberries in a glass baking dish and spread out in an even layer. In a small bowl, stir the vanilla, balsamic vinegar, and water together. Pour this mixture over the strawberries and place in the oven for 20 minutes, or until the strawberries are tender and cooked. Remove from the oven and allow to cool. Drain the liquid from the strawberries into a small saucepan. Bring it to a boil until reduced to a thickened sauce. Leave to cool. "These cookies hit the post-exercise spot every time!" says Parsons. "They take no time to make and can be kept for up to a week without drying out. The moment I unlocked the versatility of tahini and its smooth texture, these cookies were born. Tahini comes in both light and dark varieties and is packed with calcium, which supports bone structure and strength." Preheat the oven to 375°F. Line two baking sheets with parchment paper or patisserie mats. Place the ground almonds, salt, and baking powder in a large mixing bowl. In a small saucepan, mix together the honey, tahini, and vanilla. Place the saucepan over a medium-low heat, then stir until combined and the mixture begins to thin. Pour the contents of the saucepan into the dry ingredients and stir together to form a dough. The dough should come together in your hands quite easily, and it should feel warm and soft. Allow the mixture to stand for 10 minutes to cool and firm slightly. Using a fork, gently flatten the balls, and then add a few roughly chopped pistachios to the center of each. Bake for eight to 10 minutes, or until lightly browned around the edges. The cookies should feel soft while warm but firm when cool. Wait until the cookies have completely cooled before removing from the baking trays from the oven. Then store them in an airtight container. "Crisps are going through a renaissance as they've become a popular makeover dish for health-conscious foodies everywhere," says Parsons. "No root vegetable or kale leaf has been left unshaved in this race, but in this recipe, I have decided to use another one of the brassica family vegetables and offer a different kind of crisp. I love the texture of the Savoy cabbage because the surface of the leaves aren't smooth." Parson says the crisps "have an added crunch when they're cooked. If you don't want to spice with za'atar, which you can make yourself or buy in all good supermarkets, you could simply sprinkle a little paprika or sumac and dried oregano over the top before baking." Preheat the oven to 430°F. Using a sharp knife, slice the stem out of each leaf. Tear the cabbage into haphazard-shaped two-inch bite-size pieces and add to a colander. Wash, drain, and then dry the leaves thoroughly using a salad spinner or clean dish towel. Place the dry, torn leaves into a medium mixing bowl. Add the olive oil and sprinkle with the za'atar and salt while tossing the cabbage to get an even coating of oil and spice. Line two baking sheets with parchment paper, then spread the leaves out on the prepared baking trays. Bake for 10 to 15 minutes. Check the crisps every five minutes to ensure they are baking evenly—giving them a slight toss or turn each time. You may need to remove some crisps from the oven earlier if they are not baking evenly. Remove from the oven and allow to cool. Serve once cooled or store in an airtight container. Preheat the oven to 400°F. If using fresh herbs, place the thyme and marjoram leaves on a baking sheet and place in the oven for 10 minutes. Use a mortar and pestle to grind the oregano and marjoram leaves finely. Remove any woody-looking pieces. Add sumac; cumin; fennel; sesame seeds; sea salt; and black pepper. Then, give it another quick crush to combine and set it aside in a small bowl.